Vladimir 'Vladi' Gonzalez believes in taking risks to hone one's business instincts, starting young as an entrepreneur and working with integrity and the right attitude. After two decades putting up varied businesses, he's proven himself right. From being a member of the popular 1980s dance group The Manoeuvres, Gonzalez is now a top subcontractor for government projects in Cebu and a major real estate developer in Bacolod City and elsewhere in the Western Visayas. 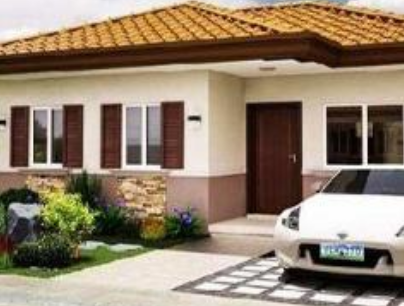 Gonzales, president of Home-Invest Realty Ventures Inc., has built three residential developments in Bacolod--Buena Park, Country Homes Subdivision, and HomeBridge Subdivision--and a memorial park that doubles as an events venue, the Santuario de Bacolod. More projects are in the company's pipeline. How he got into government subcontracting and real estate development is a long story, for he had actually started out in third year college as a ready-to-wear (RTW) clothing retailer--in his words, a biyahero, the Filipino term for someone who goes places to buy and sell merchandise. Gonzalez, now 47, recalls: "I would buy garments in Manila weekly, and in between, I would go to Hong Kong monthly to do the same." During those early years, he traveled frequently to Manila to visit his girlfriend Angeli, whom he later married, and then would "buy some stuff to bring back to Bacolod" to sell. For initial capital, Gonzalez says, he had pawned a gold bracelet for P10,000 in addition to his P22,000 in personal savings. He would sell the goods he had purchased from Manila or Hong Kong to relatives, friends, classmates, teachers, and boutiques in Bacolod. "I was earning P5,000 a week, even as a student," he recalls. By rolling his capital back every time, Gonzalez was able to put up five boutiques in Bacolod, all named Sukei, and run an RTW distribution operation supplying other wholesalers in Bacolod, San Carlos City, and elsewhere in Negros Occidental. On his trips to Hong Kong, Gonzalez got to know Anna Cita, local franchisee of the Giordano fashion brand, and Loi Cruz, owner of the Monakiki clothing label. Both offered to give him items on consignment. "All so sudden, my small capital became unlimited capital," Gonzalez says. Because of his good credit record, Gonzalez later got credit lines from Cruz, who also owned the Tokyo Fashions boutique at the Greenhills Shopping Complex in San Juan, and from various other retailers. "So even while still a student, I was already bringing in inventory to Bacolod worth P800,000 to P1 million," he says. During his next nine years in the clothing business, he opened up an electronics shop that mainly sold two-way radios that he would import from Hong Kong. These two profitable ventures enabled him to build his dream house in 1993. Two years later, however, his fortunes took a bad turn. As a favor, Gonzalez says, he had allowed a friend to mortgage his house for a huge amount, and the loan went unpaid. "So the bank foreclosed the house, and I was back to zero," he says. Faced by this setback, Gonzalez went on recovery mode by making and selling hollow blocks, later doing subcontracted drainage work on 10 subdivision projects in Negros Occidental and Iloilo. In 1997, at the height of the Asian financial crisis, his company, J & G Gonzalez Development Construction Inc., won a contract to develop a nine-hectare subdivision in Bacolod and, a month later, another contract to do a 10-hectare subdivision in Iloilo City. He did these projects with heavy equipment he had acquired on terms from suppliers, one of which was a Japanese company that sold him a backhoe worth P5.4 million payable within a year at P540,000 monthly. To augment the cash flow for his growing number of development projects, he sought and obtained subcontracting work for Japan's Kajima Corporation on the Cebu South Reclamation Project from 1998 to 2000. He recalls: "I entered as one of 500 suppliers and ended up among the top three suppliers for that project. We were delivering 350 to 400 truckloads of filling material every day, operating 180 dump trucks attached to my operation." Gonzalez acquired more equipment from that operation, and Kajima invited him back as their main subcontractor for Segment 1 of the Cebu South Coastal Road--a P5.92-billion government flagship project--from 2002 to 2004. To this day, his partnership with the Japanese firm continues through Segment 3B of the Cebu Subway Tunnel, a project that started in 2006. 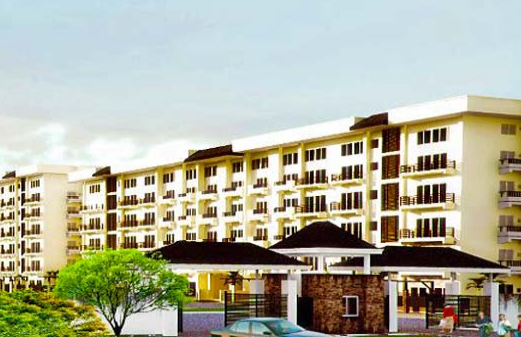 In between these projects in Cebu, Gonzalez started doing housing projects in Bacolod in 2004, successfully completing Buena Park, Country Homes, and HomeBridge. 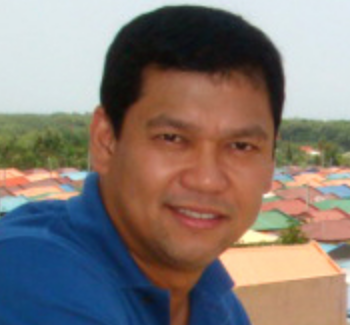 He has at least four more major real-estate development projects through 2010, including Palm Place, a 5-hectare subdivision in Bacolod; an additional two phases for Country Homes and a 6.3-hectare subdivision of the same name in Jaro, Iloilo; and Club Elli Eco-Resort and Spa on a white-sand beach resort he recently bought in Cauayan town south of Bacolod. "The Lord took my house but today I'm selling hundreds--even thousands--of houses to the poor," says Gonzalez, whose Country Homes units sell for as low as P2,300 a month or for just P425,000 cash. "I promised the city of Bacolod that I would build at least 1,000 units for the next 10 years because we have such a big backlog--30,000 units." Gonzalez is proud that his projects provide employment to over 3,000 people--600 personnel and workers in the Cebu project, 500 in the Bacolod and Iloilo subdivision projects, and 2,000 agents in the Santuario, which still has 28,000 memorial plots to sell "over the next 10 to 15 years." In all of his current businesses, he keeps two rules supreme--each business must remain debt-free, and all the funds it needs must be internally generated. "Nadala ako nung ipinanghiram ko ang sarili kong bahay sa bangko ng perang 'di naman ako ang gumasta (I was stung when I mortgaged my house to the bank for money that I didn't even spend), so until now I'm paranoid when it comes to debt," he says.